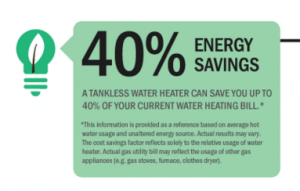 Time to replace your water heater – now what? 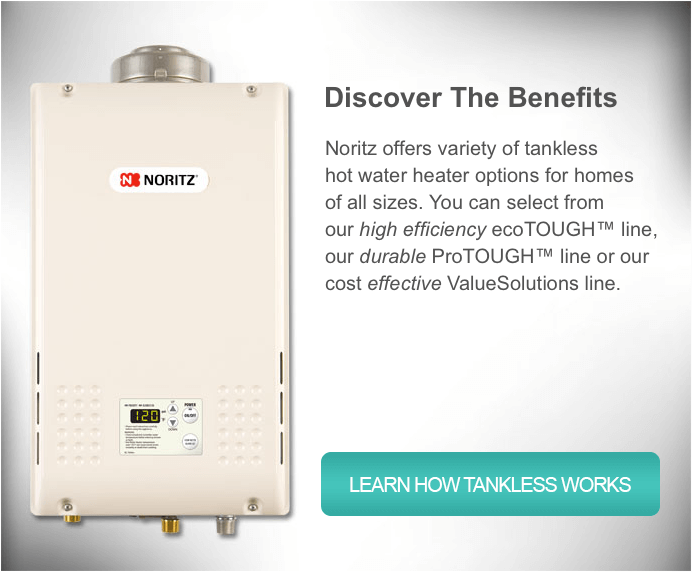 View the Noritz infographic below to compare Tank Water Heaters vs.Tankless Water Heaters. The water heater is probably the appliance least thought about in the home – until it fails. And when water heaters go bad, many do so in grand (ugly) fashion. Nearly three of every four water heaters fail due tn a tank bursting or leaking 30 to 80 gallons of rusty water – depending on tank size – in your finished basement, attic or garage. Look for energy-efficient,certified ENERGY STAR water heaters, as new technologies can shave anywhere from 7 to 55 percent of household water-heating costs.